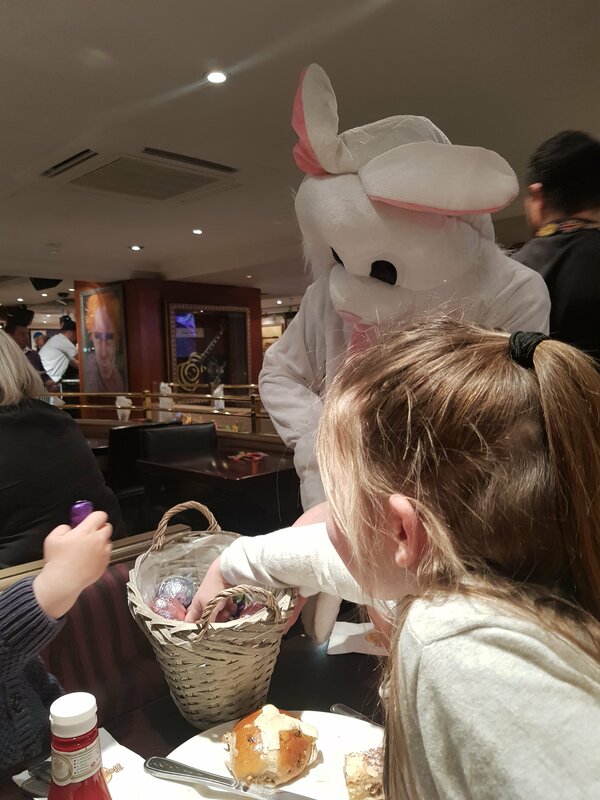 On Sunday we had a real treat, as we were invited to have ‘Breakfast with the Bunny’ at Hard Rock Cafe London, the original Hard Rock Cafe, that opened in 1971! 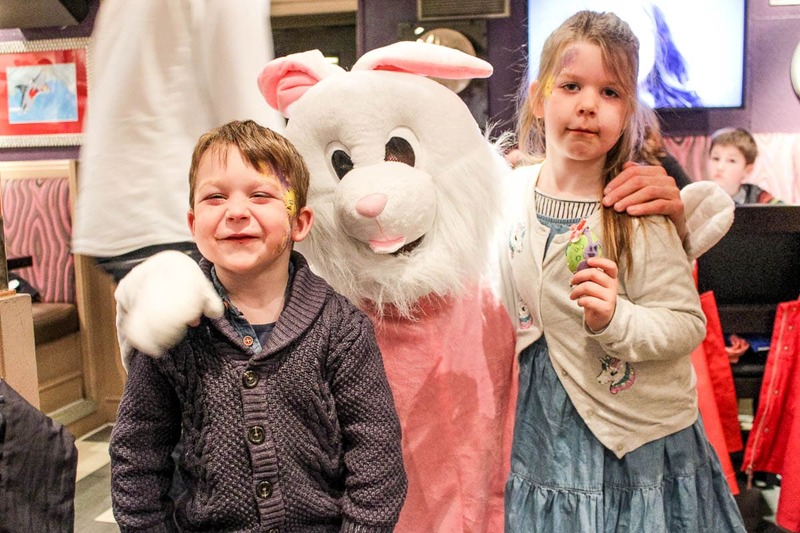 The kids were incredibly excited to meet the Easter Bunny, and Sam and I were excited for the legendary food and famous rock relics on the walls! Breakfast with the Bunny was from 10-12 on Sunday, and as we arrived we spotted a big white Easter Bunny outside who beckoned us to a separate entrance, festooned with Easter decorations! We headed down the stairs to be met with a veritable feast laid out before us! 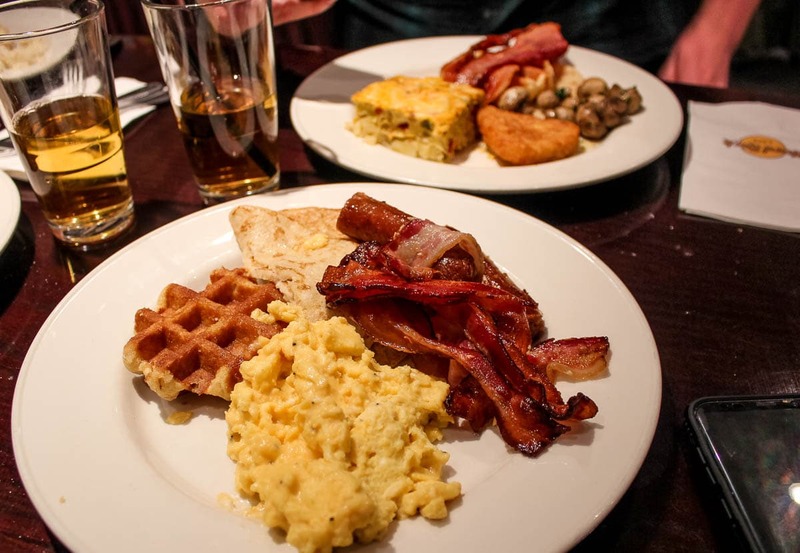 Hard Rock Cafe had set up an impressive cooked buffet breakfast, along with plenty of fruit, bread and pastries. 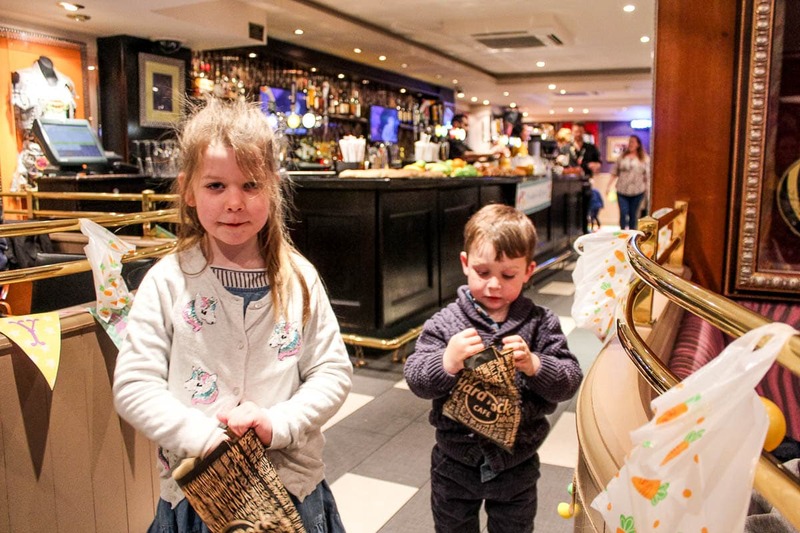 We were encouraged to help ourselves to as much as we liked, though the kids were far more interested in scurrying around the restaurant dipping their hands into the bags of chocolate hung up in regular intervals, I tell you they were in their element!! 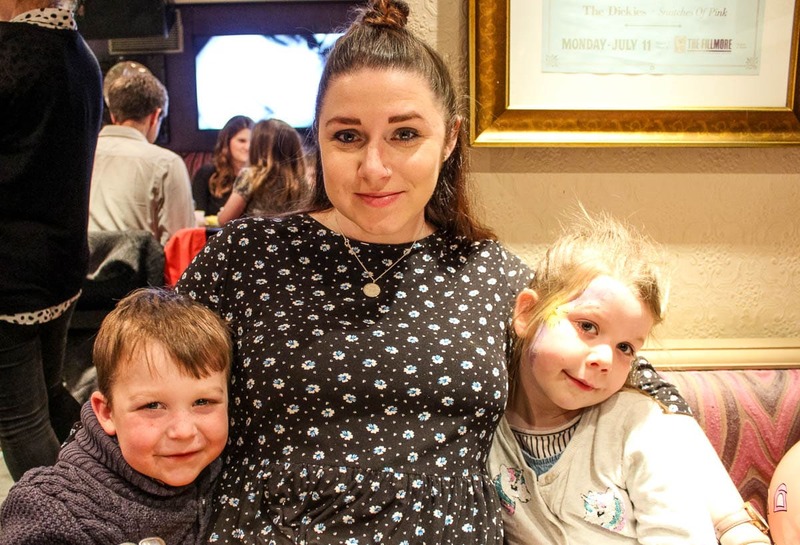 When we could get the kids to sit and eat with us they were over the moon to be able to pick from the hot buffet, with pancakes and waffles to choose from, plus jugs of sweet syrup – a real treat! 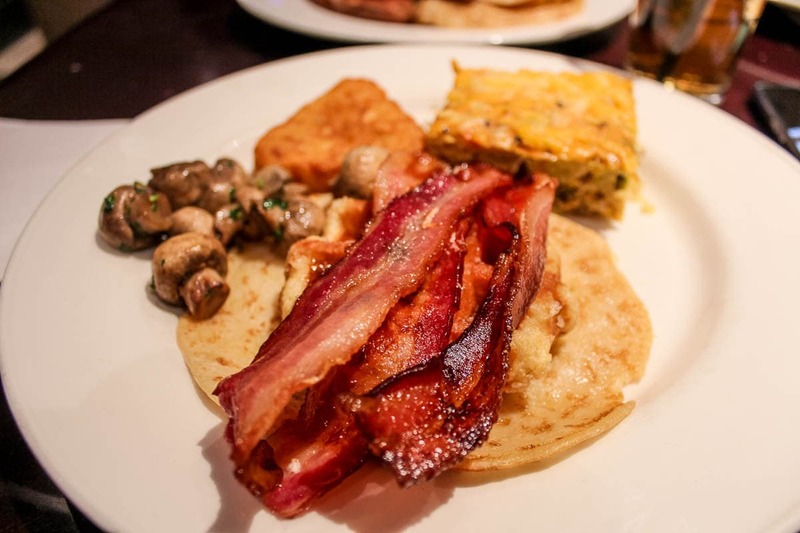 I loved the spanish omelette and crispy bacon, and definitely loved the home made Hot Cross Buns! There was a problem with the hot water machine for tea at the start of the breakfast, but as soon as the waiting team realised this they popped and made me tea in the kitchen and bought it to my table so I didn’t have to wait! We also had coffee and fresh fruit juices on tap too. 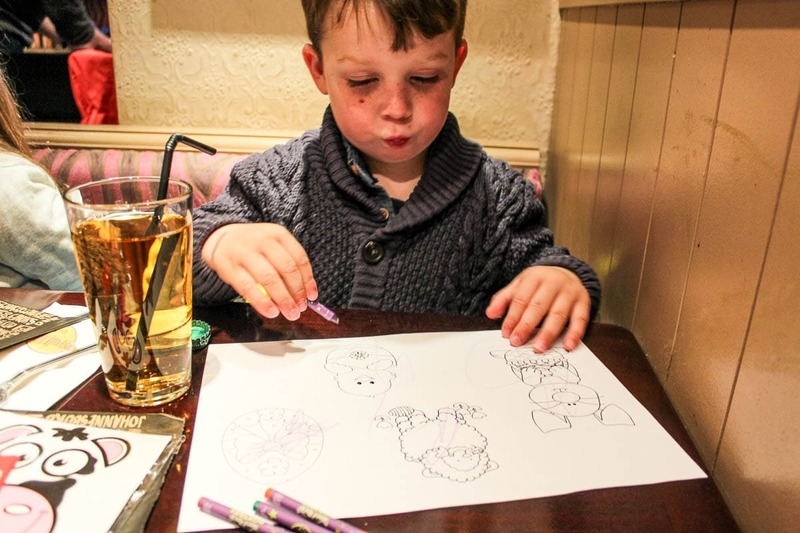 There was so much on offer for the kids to do that Sam and I actually got to sit and have a proper catch up over a leisurely breakfast, safe in the knowledge they were having fun and being kept entertained! 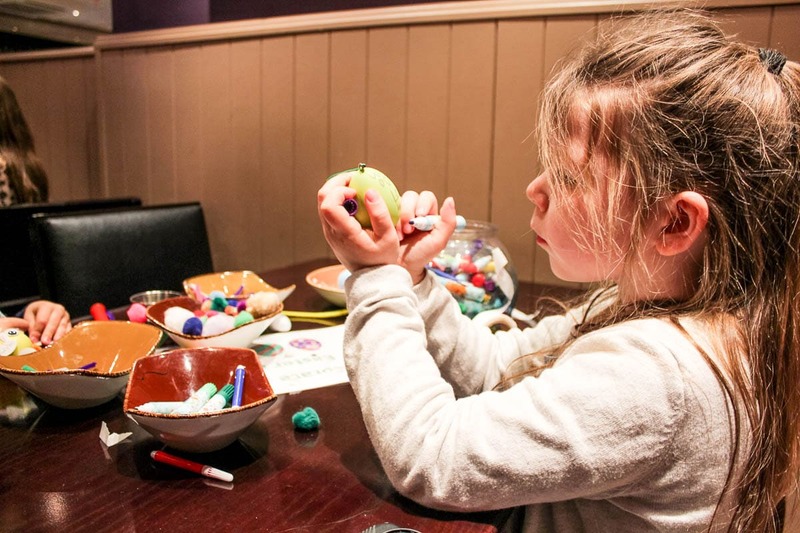 Athena decorated an Easter Egg decoration for both her and Arlo, as he was too busy playing elsewhere – she really is sweet sometimes! 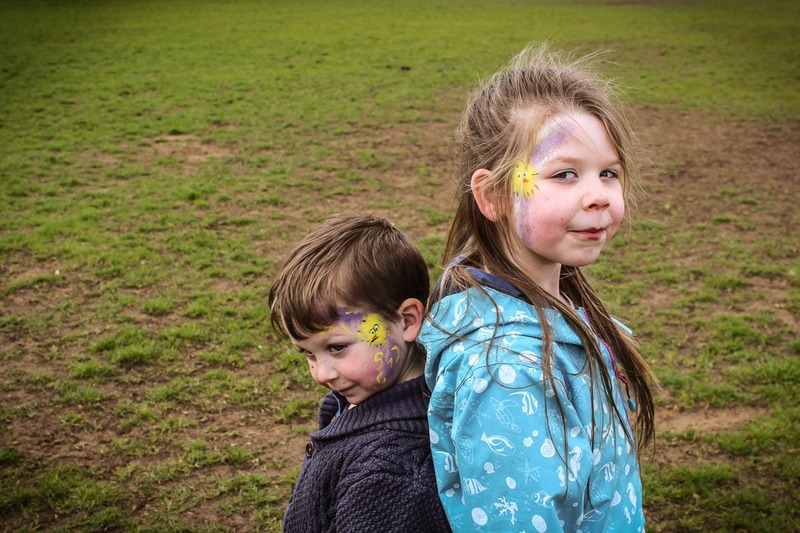 They both visited the face painters too, to get matching Easter Chicks on their faces! 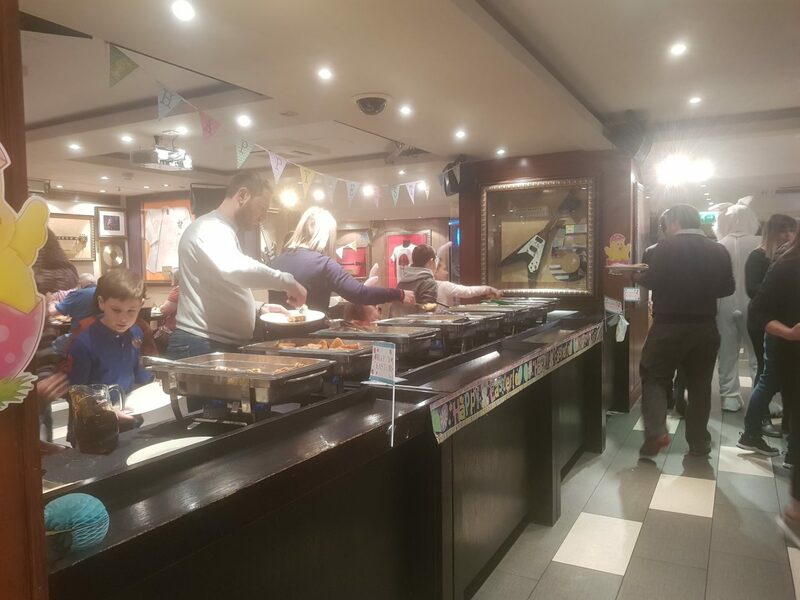 It was a really well run event, it was busy but the food never ran out, the waiting team were chatty and helpful and the kids never stopped smiling. We all had a really great morning and it was a fantastic start to our day, it kept us going for a walk through Hyde Park and an afternoon in the Science Museum! 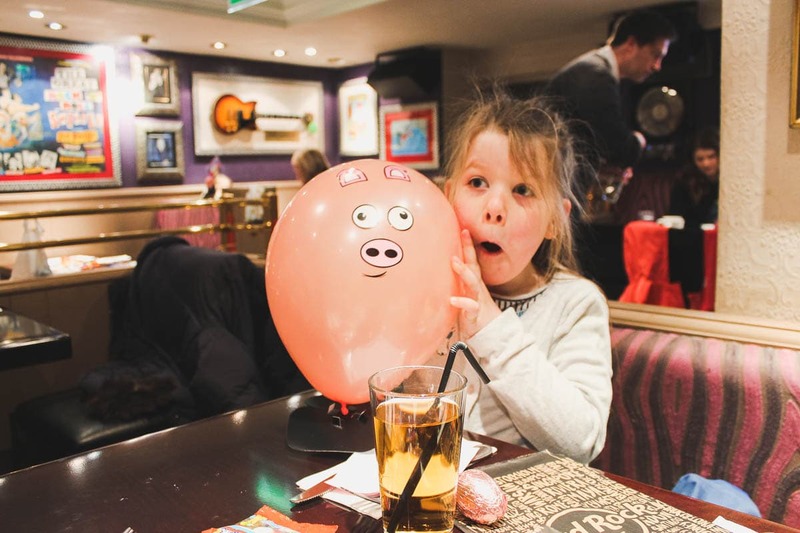 Hard Rock Cafe share all their events on their website & Facebook page so you can keep an eye out for things on when you’re next in London. 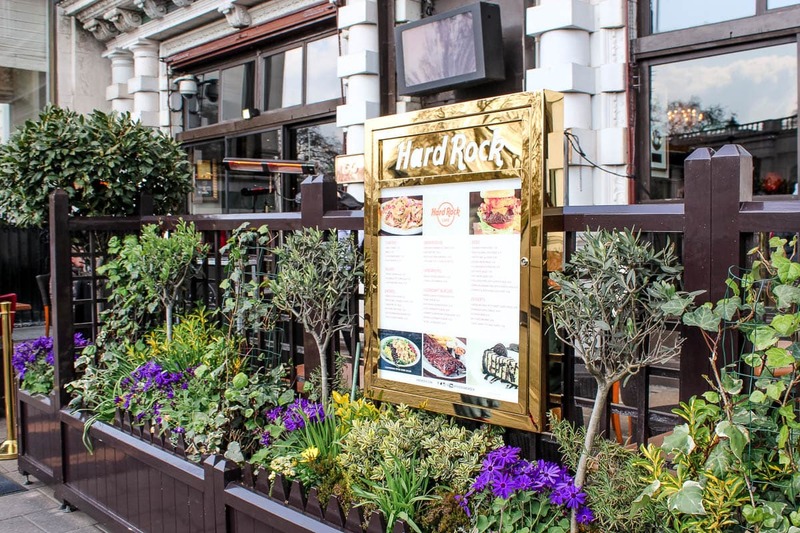 The Old Park Lane location is incredibly easy to find, and perfect for exploring a fantastic part of London – we saw some mounted soldiers trotting up Constitution Hill towards Buckingham Palace and then strolled to Hard Rock through Green Park! Also if you’re coming to London on a Sunday like we did there is tonnes of free parking around – we drove and parked about a five minute walk away! 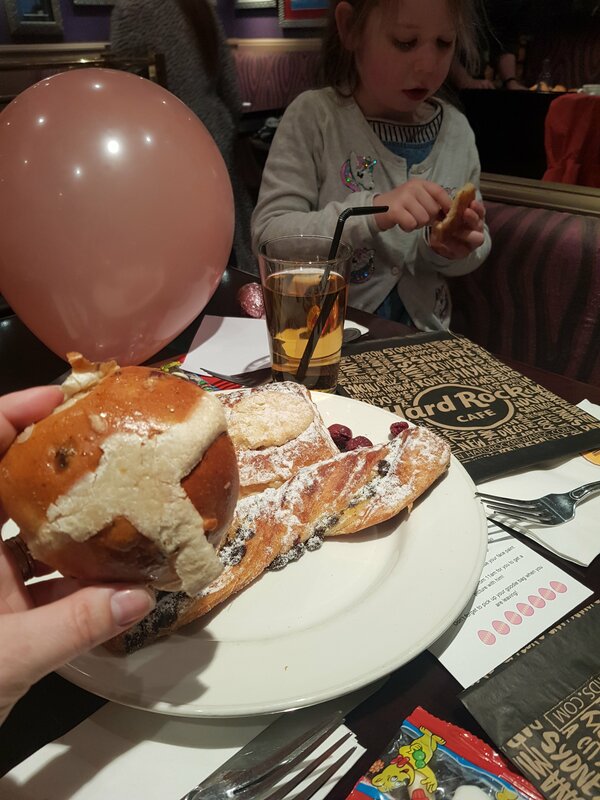 We were invited to experience Breakfast with the Bunny at Hard Rock Cafe to write about our experience. We’ve not been to a hard rock since we were in NYC! 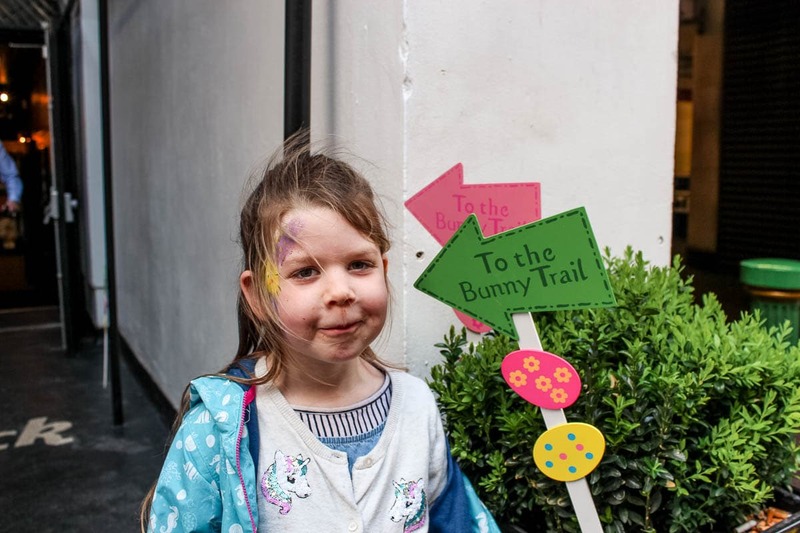 Definitely not since we had kids, hadn’t even thought about taking kids to be honest but nice to see they do child friendly events! Hope they didn’t eat all that chocolate in one go!